As Australia’s mango season ramps up, one of the country’s favourite varieties has hit supermarket shelves this week. Picking of the Calypso variety is well underway at plantations in Darwin, with a small volume of fruit also coming from farms further south in Katherine. 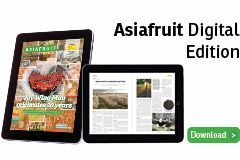 “Picking always starts first in the Northern Territory with the warm winter giving us delicious Calypso mangoes through spring,” explained Calypso grower Daniel Niceforo. “Harvesting then shifts to Far North Queensland for the summer fruit. 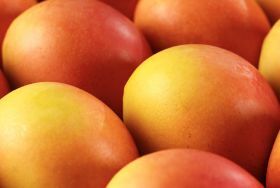 More than 50m Calypso mangoes are expected to be picked this season, with the fruit to be marketed by leading Australian company Perfection Fresh. “The Territory mangoes in store now taste fantastic and over the border in Queensland, growers are having a fantastic year with just the right balance of cool nights and warm days to nurture Calypso mangoes to maturity,” said Perfection Fresh CEO Michael Simonetta.